In May of 1997 I was a senior in high school and already addicted to the sport of no holds barred fighting. A couple years earlier I was introduced to the UFC by a cousin and from that point on I knew this was the sport for me. Whether it was carrying around my collection of VHS tapes everywhere I went or challenging members of the varsity football team to submission matches in a friend's living room after school, I simply couldn’t get enough of it. Eventually, I began to reach out to UFC pioneer Mark Hall about training and learning what being a fighter was about. On the night of May 30th of the same year, the UFC held UFC 13. The card consisted of two four-man tournaments along with a super fight heavyweight bout featuring Vitor Belfort vs Tank Abbott. 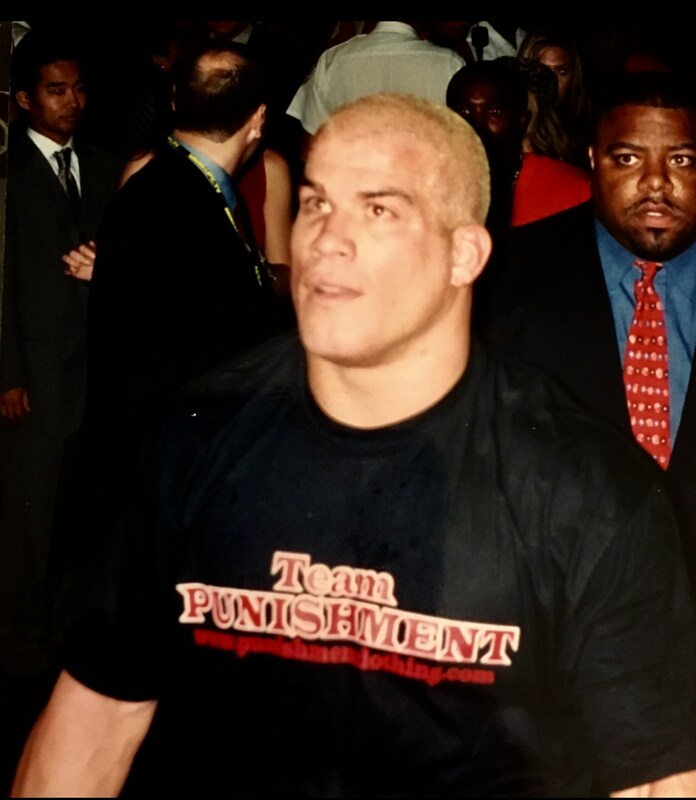 The heavyweight tourney featured the debut of Randy Couture, while the Lightweight tournament (under 200lbs) featured two names I recognized with Guy Mezger and Christopher Leininger. Couture easily worked his way to the heavyweight win and Belfort used incredible hand speed and accuracy to dismantle the more lumbering Abbott. The lightweight bracket ended up showcasing something unexpected. After Metzger and Enson Inoue won their first-round bouts, Inoue was unable to continue due to injury. Now in those days, the only way you would see the alternate bout highlights was when one was needed. This night they introduce Tito Ortiz as an alternate. The bout highlight showed a 22-year-old Ortiz destroying his opponent, Wes Albritton, in just 31 seconds. As Tito walked to the cage to fight Mezger for the tournament final, we learned he was from Huntington Beach California and fighting as an amateur (no prize money) due to wrestling in college. Due to a questionable call by referee Big John, an early storming Ortiz was slowed while a cut was checked on Mezger. When the bout was restarted he found himself caught in a Mezger guillotine choke and was forced to tap in disgust. Despite the loss, there was something about Ortiz that myself and friends had never really seen before. For the first time, we saw a fighter that was someone we could relate to. A young southern Californian that didn’t come from a long family lineage or an experienced Olympic wrestler. He looked like us, acted like us, and we were instant fans. Tito would return at UFC 18 and from then on he was a mainstay. After a UFC 22 loss to the great Frank Shamrock, in one of the UFC greatest bouts ever, he would end up defeating another future legend Wanderlei Silva for the UFC light heavyweight belt at UFC 25. 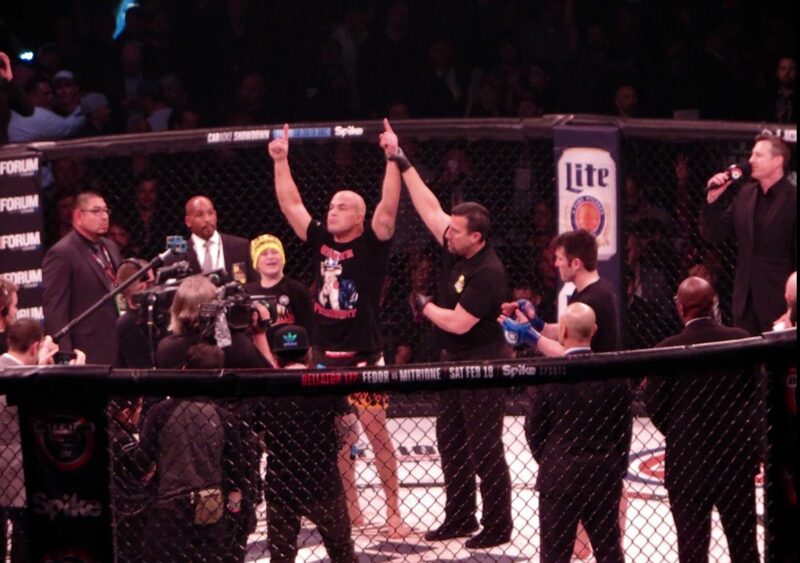 After 3 title defenses, the UFC was announced to be legal in the state of Nevada. It was finally my chance to witness the sport live and in September of 2001 at UFC 33 my dream would come true. When the main event was announced there was no other person to headline then Tito. 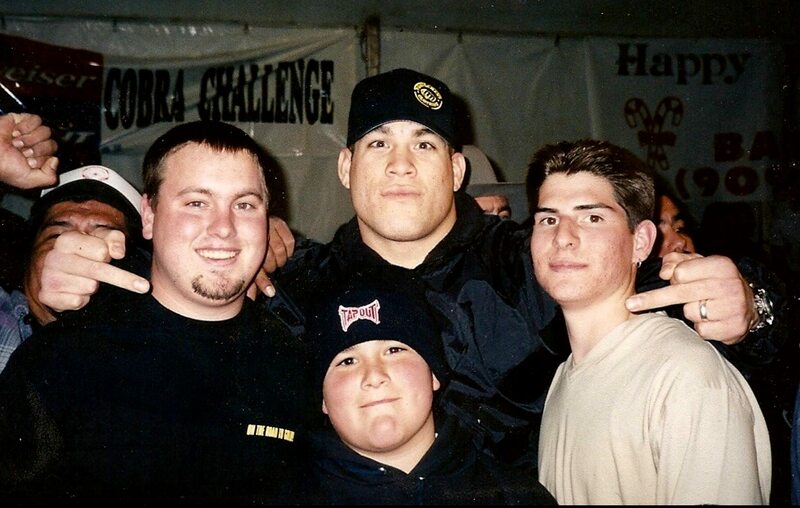 He was the face of the UFC at the time and the man that made people come to the show. So a large group of my friends headed out to Vegas with our shaved bleached heads and were ready to watch Tito do his thing in the cage. That night he would retain his title with a dominating unanimous decision win over Vladimir Matyushenko. I had witnessed “the” star of the UFC. What I never could have imagined was that I would get a chance to watch so much of his career from that point on. There would be nine more times I’d get to watch Tito make the walk in person, more than any other fighter in a couple hundred events I’ve attended. Then next time we’d see him was at UFC 40. He would be facing Ken Shamrock who was returning to the UFC after a successful pro wrestling run in the WWF. This fight was huge at the time! For the first time, the UFC was being talked about in the media everywhere. I can vividly remember older family members for the first time asking me about the UFC and this fight. Jim Rome was probably the most popular sports talk show host in the country and he was talking about the fight. Although Shamrock had some mixed results in the Pride Fighting Championship before this bout, going 1-2, that was against his usual heavyweight competition. This time he’d drop the extra size and would compete at a very healthy looking 205 lbs for Ortiz’s belt. Leading up to the fight the question was, how would Ken do against at light heavyweight and would Tito be able to avoid the submissions from the UFC pioneer? The anticipation and tension in the arena were incredible that night. As the bout started it didn’t take long to see that Tito was a different kind of animal. He battered Shamrock on the feet and ground. After three rounds Ken could take no more and didn’t leave the stool for the 4th round. Tito had beaten a legend, the torch had been passed, and the UFC was here to stay. It would be a couple of years until I was able to watch Tito live again. In the meantime, he had lost his championship to Randy Couture and a grudge match with Chuck Liddell. He finally got back on the winning track at UFC 50 with a win over Patrick Cote. 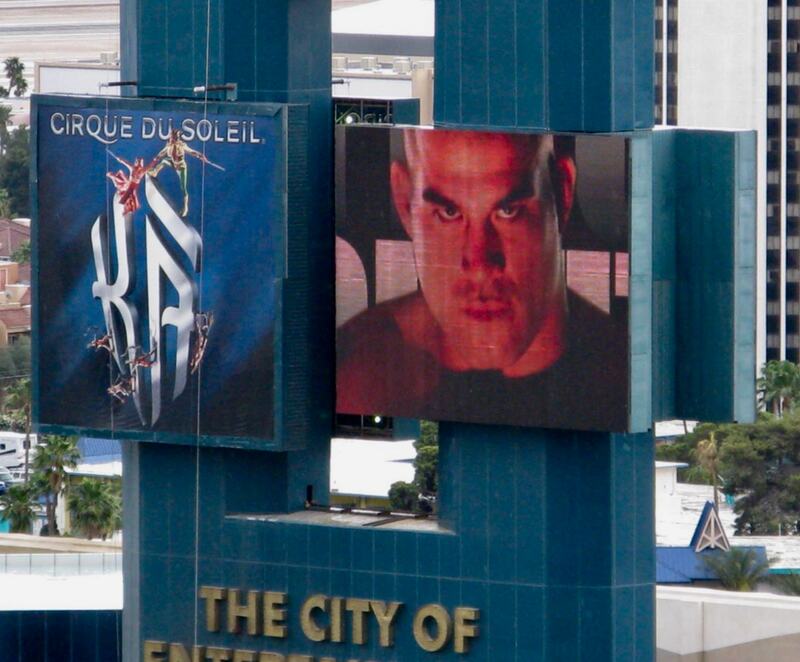 It was now 2005, Super Bowl weekend and I was in Vegas to watch him fight another favorite of mine, Vitor Belfort. This fight would be very closely contested. When all was said and done Ortiz would be awarded a split decision victory and Tito was back on a winning streak. A year later he would again enter the cage, this time at The Pond in Anaheim. Finally, I could attend a UFC event only an hour from home and watch Tito throw down. Already 3-0 in his bouts I had attended, he’d add another victory after a 3 round decision over the young and dangerous TUF 1 winner Forrest Griffin. Many people felt the up and comer would be using Tito as a stepping stone, but that was not gonna happen in his backyard. Eventually, all good things come to an end and in MMA that can come quickly. After the Griffin bout, Tito was on a 3 fight win streak and he’d continue that streak to 5 with two more wins against Ken Shamrock. After that, it would start to go downhill. A second loss to rival Liddell followed by a draw with TUF 2 winner Rashad Evans. He actually looked pretty good against Evans but fell victim to a rare point deduction for grabbing the cage, leading to the draw on the scorecards. He would then be matched up against the undefeated future champion Lyoto Machida. It was time to head back to Vegas for Memorial Day weekend as the bout would be held on a loaded UFC 84 card. Machida would prove the oddsmakers right and go on to win a unanimous decision, but a very game Ortiz nearly finished the bout with a triangle choke late in the fight. Despite the effort, it was another loss and there would be two more that followed. It seemed that time had passed him by going 0-4-1 in his last 5. Next, the UFC booked him in a fight that was essentially set up to try to send him packing. Ryan Bader had won The Ultimate Fighter and was a rising star. The UFC again attempted to use Tito as a stepping stone and pitted him in what seemed like an impossible matchup against Bader. 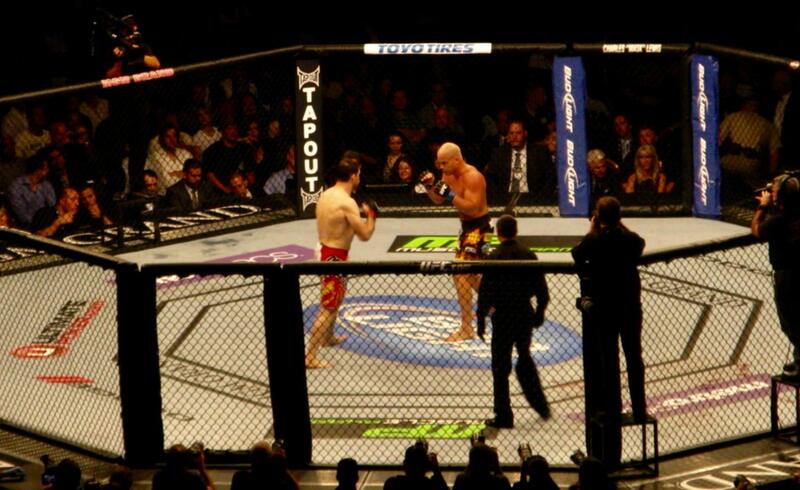 UFC 132 was again a stacked event and one I simply couldn’t resist attending. That night it didn’t take long for Tito to shock the MMA world and perform his traditional grave digging celebration in the center of the cage. Shortly after the opening bell Ortiz dropped Bader with a right hand and followed up by finishing his dazed opponent with a guillotine choke. The win was huge for Tito! Especially at a time, it didn’t seem like it was possible. It marked my 6th time watching him fight live and he moved to a 5-1 record in those bouts. The career resurgence would, however, be short-lived with three more losses following the big win including me witnessing Tito lose in a controversial decision to Forrest Griffin at UFC 148. His UFC career was over but would a move to Bellator MMA provide another chance at a return to glory? His arrival in Bellator came with a good amount of fan fair. Initially scheduled to fight Rampage Jackson in his debut at Bellator 106, the bout was canceled last minute as he suffered an injury in training. As a result, Tito’s debut would take place at Bellator 120 against the middleweight champ Alexander Shlemenko, Although undersized the Russian came into the bout as a huge betting favorite. Much like the Bader fight though, lots of people lost money. Tito used his size to muscle Shlemenko to the mat and finished him two and a half minutes into round 1 with an arm triangle choke. The win ended a rough run for him and set up another bout to be held in southern California. 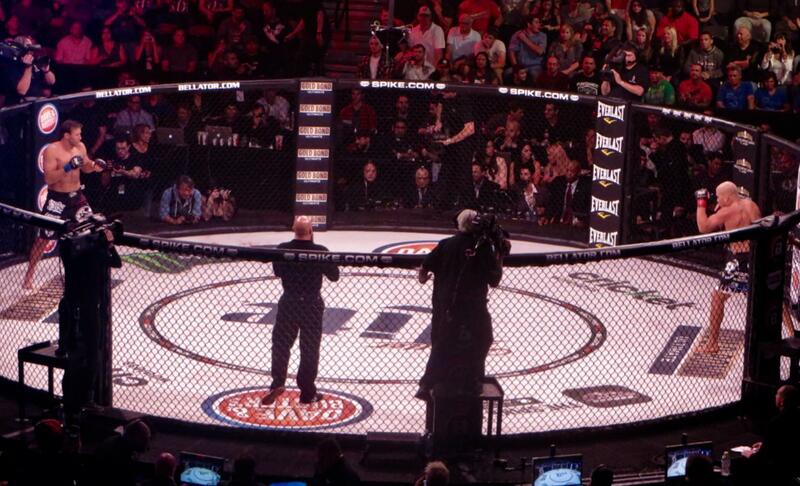 Bellator 131 would take place at the San Diego sports arena in November of 2014. This bout would mark the 8th time attending a Tito fight and would be the first of attending his final 3 fights. That night he would defeat Stephan Bonnar by decision in a fairly unmemorable performance. However, at 2-0 he would get a chance at the Bellator light heavyweight champion Liam McGeary at Bellator 142 in San Jose. McGeary came into the fight with a 10-0 record and seemed to be the future of the weight class. As the fight began Ortiz looked very good taking the champ down to the mat and landing some punches and elbows. Unfortunately for the veteran in his 31st bout, he would end up on the wrong end of a submission finding himself tapping out to a rare inverted triangle choke. Miraculously it was the second of McGeary’s 11 fight career. Tito looked good in the fight through every one of his fans knew his final fight had to be just around the corner. Roughly a year and a half later that night would come. At Bellator 170, held in the famous Forum in Inglewood California, he would face longtime competitor and 3-time UFC title challenger Chael Sonnen. Like every Sonnen bout, it would come with Chael talking nonsense leading up to it. Fortunately for this fan and all of Tito’s fans, He would shut him up in the cage. After some early back and forth wrestling advantages, Tito locked in a rear naked choke and Sonnen tapped out to a submission for the 9th time in his career. A huge win for Ortiz and a perfect ending to a great hall of fame career. After attending 10 of his fights I’d witnessed him go 7-3 in the highest level of MMA competition. He will always be a fighter that I can say brought everything he had into the cage. Never did I ever regret purchasing a ticket and as a fan that’s all you can ask. Always a professional in the cage, he was also one of the most generous to fans outside of it. I can honestly say in the close to 2 dozen times I’ve seen him around events, I've never seen him turn away a fan for a photo or autograph. It was an honor to watch him compete throughout his career. I will always enjoy telling people the stories of watching him fight and meeting him. Whether you loved him or hated him, he is a legend of the sport and deserves everyone’s respect.